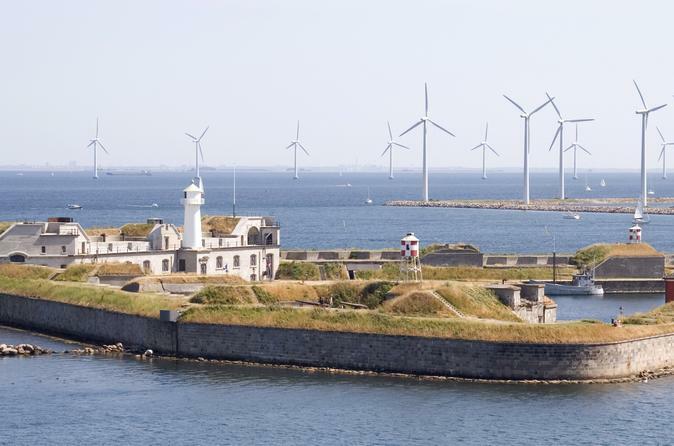 Visit Trekroner Fort, the oldest of Copenhagen’s sea fortifications, with this round-trip boat ride. Set off from colorful Nyhavn and pass by top sights like Amalienborg Palace and the iconic Little Mermaid statue during the 30-minute crossing to the historical island fort. Soak up sea views, listen to swashbuckling battle stories and stroll around the reconstructed 300-year-old fort as you wish. Then, when you’re ready to leave, simply take the ferry back to Copenhagen. Check out the gun casements to see an exhibition about the history of Trekroner. One room even shows a film about a key moment in the site's history — the 19th-century Battle of Copenhagen.